I was a professional dieter. My resume included favorites like the cabbage soup diet, HMR, Weight Watchers, private nutritionists and just about everything else in between. Even though I was dutiful in my dieting career and enjoyed my successes, I would inevitably quit my “latest job” (read diet) just like that! I needed a career change and stat. That was 2 years ago, when I changed my illustrious dieting career for good. I remember it vividly. After a year of unproductive gluten-free and vegan dieting, (which had promised to heal my body and help me lose weight and didn’t), I caved and gorged on pizza and bread sticks at my local block party. I felt so scared, so ashamed, so worried that it would result in an immediate weight gain. So back again, I thought, to scouring the “dieting classified section”, searching for my next diet, my next challenging “job”. At the same time this event happened, I was also studying to get my Certificate in Eating Psychology. 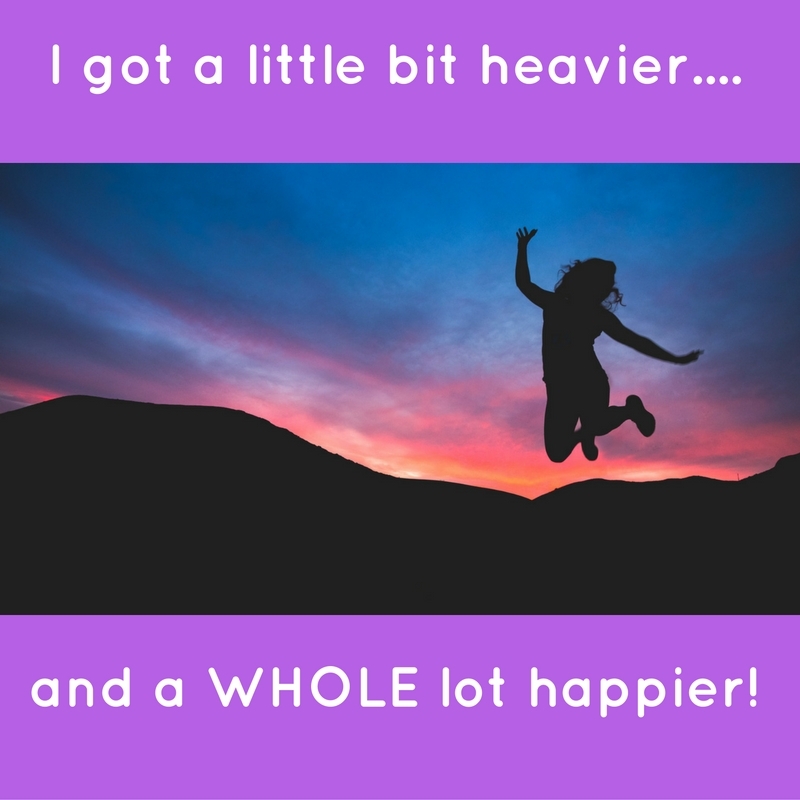 I had gone to see my endocrinologist to monitor my hypothyroidism (one of the many things I blamed for my career in yo-yo dieting), and I was shocked, absolutely shocked when I saw the number on the scale when she weighed me. So much higher than I ever thought possible for someone who was literally vegan and gluten free for a year and exercised vigorously and regularly. What was wrong with me? Fantasies of full-on starvation diets ensued, which left me with waves of sadness and anxiety. It dawned on me in that moment …..that nothing was wrong with me. This is me. This is where my body wants to be and why do I keep bullying it relentlessly into a shape and weight it simply doesn’t want to be at? If I continue to focus on balanced, healthy, unrestricted eating, yoga and joyful exercise (kettle bells are my jam!) then why isn’t that good enough? Bottom line: It IS. 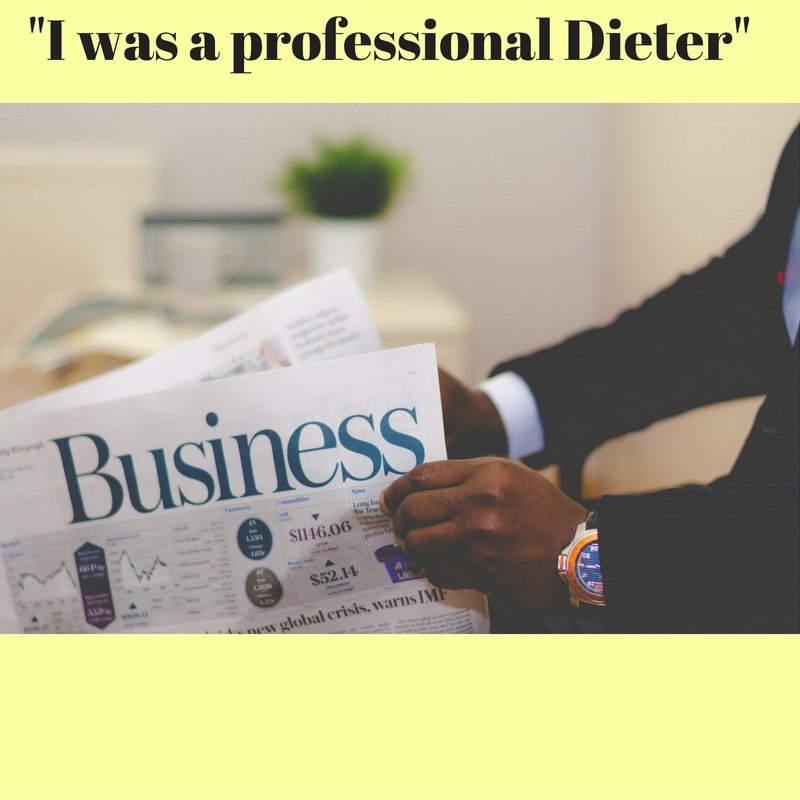 I gratefully ended my career as a professional chronic dieter that very day and haven’t looked back. I have not stepped on a scale since. Are there days that I long to be thin again? Absolutely. The feeling of being thin is alluring and addictive. This ideal of thinness continues to be perpetuated in our society and is an unsustainable goal. You know what I don’t miss, though? Obsessing about every calorie, spending 70% of my day thinking about what I will eat, what the number on the scale will be that day, my self-worth being defined for the day on whatever the scale reveals, and exercising in a relentless and punishing way that caused me injury, and grief. Can anyone relate? Are there days that demons creep up and poke me on the shoulder saying “Time to diet! You’ve got a wedding coming up!” Yes. And when those demons visit, I welcome them in and ask them why they’re there and what I can learn from them. I question them. And ultimately I heave a huge sigh of relief, realizing that I don’t in fact have to diet again. This makes me feel freer and happier than ever. And it’s this absence of the need to diet that has made food pleasurable to me again. I know I won’t overeat or binge because nothing is off-limits. I don’t have to be afraid of food anymore. And even though I don’t weigh myself, I know that I’m maintaining (albeit a little heavier than a few years ago) because my clothes fit. I am stronger and more fit than ever and most importantly, I am at peace. My friends and family constantly remark to me that I don’t look stressed anymore – that I’m more at ease and that I look healthy and happy. It’s because I am! I’ve chosen to stop dieting and weighing myself, but as a traditional weight loss counselor for over 13 years, I’ve been able to make the conclusion that previous, rigid methods of dieting do not lead to permanent weight loss. I do believe that a normal, attainable weight can be achieved by means of a newer, more sensible approach. I can help you do it in a way you’ve never done before….a kind and gentle way with a realistic goal that actually gives you a fighting chance of keeping it off for good. However, I’ve retired my career as a yo-yo dieter. But instead of collecting unemployment checks, I’m more like the retiree who pursues passions, travels, and enjoys the “golden years.” My golden years luckily started early. Yours can too. Are you in the Boston area? I’m hosting a private screening of the important documentary, Embrace, which is about positive body image. I need 61 more people to reserve tickets within 14 days to make it happen! Here is the link if you’d like to join us! I’ll be hosting a post-movie discussion and bite! To read more posts like this, subscribe to my weekly newsletter today!